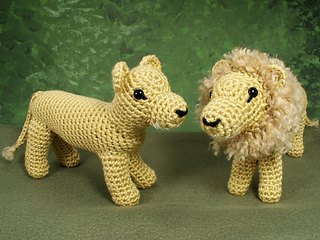 An original crochet amigurumi Lion and Lioness pattern by June Gilbank. 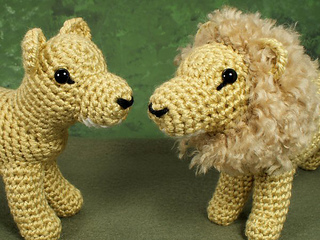 Make an Aslan of your own! 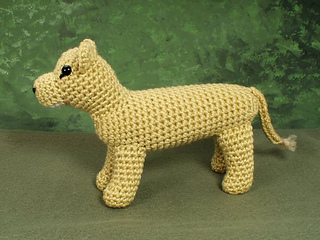 Yarn: worsted weight yarn in yellow, white (for the chin), and brown (for the mane and tail tassel). 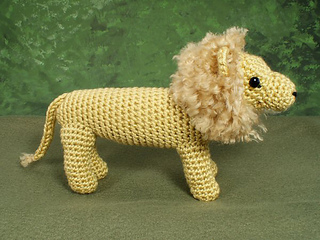 I used a very pale brown for my sample lion; you can use any shade from yellow through to dark brown (lions’ manes darken with age, so it’ll still look realistic in any shade). 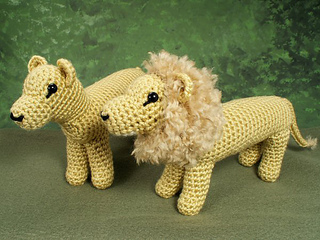 Details: pattern is 13 pages long and includes 30 step-by-step photographs and explanations so you can crochet a perfect lion and lioness of your own. 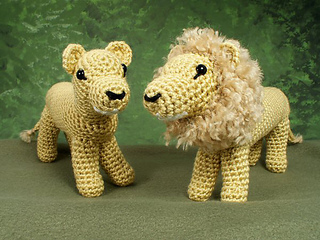 Don’t worry about hooking hundreds of strands of yarn for the mane; it’s actually all crocheted! 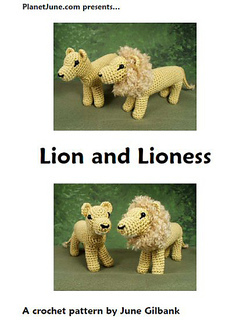 Three full pages of instructions for the mane walk you through every step of the special technique. 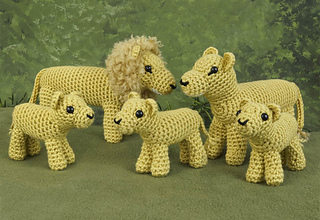 Also for sale as part of the Lion Family multipack, with an adorable lion cub pattern!